SunPort solar charger. Though a charger isn’t the most heartfelt gift, it’s definitely one of the most useful. This on-the-go charger resembles a normal outlet extender, but runs on solar energy to power up your devices. You can even check on your total SunJoule use via their phone app to see your personal positive impact on the environment. The charger also comes in yellow, blue, green and pink for your fashion-forward Valentine. Girasol solar coffee maker. This solar-powered coffee maker doesn’t use charcoal, wood or electricity to function. This device, designed by Christopher G. Patton, produces a regular cup of hot java using vacuum-tube technology to generate and insulate heat from the sun. The best part is that the whole coffee maker is recyclable, so your coffee-loving Valentine can easily go green. Preserve toothbrush. Our dentists tell us to replace our toothbrush every 3 to 4 months. Throwing away all of that plastic can take a toll on the environment, so purchase a Preserve toothbrush for your Valentine’s pearly whites. It sounds silly, but it’s totally worth it. The handle is made from 100 percent recycled plastics, including 25 percent recycled yogurt cups. You can also buy a Radius Source toothbrush, which has a replacement head and a recycled wood bio-plastic handle, or an Izola toothbrush, which is made of renewable bamboo. Nothing says I love you like a sparkling smile. Brelli umbrella. The Brelli umbrella is constructed of sustainable and renewable bamboo, organic cotton and biodegradable plastic. Aside from being superiorly eco-friendly, it’s lightweight, easy to carry and capable of withstanding winds up to 40 miles per hour without turning inside out. Brelli also comes with a custom cotton carrying case for simple handling and storage. Kathmandu Yogi supplies. This company supports a healthy body and mind through their high quality, ethically made meditation and yoga accessories. Kathmandu Yogi sells meditation cushions and yoga mat bags made from 100 percent organic cotton and malas (also known as meditation beads) from wood, seed and semi-precious earth stones. Klean Kanteen. These sturdy water bottles are great for every occasion. The stainless steel, eco-friendly Klean Kanteen is durable and reusable, eliminating the use for plastic water bottle waste. You can purchase water bottles, cups, tumblers, growlers and kid kanteens, so look no further for the perfect green gift. Bedol water clock. We’ve mentioned this cool gadget before, but we can’t get over how neat it is. The Bedol water clock is the most environmentally practical device in a long time. It uses no batteries, no electricity and no chemicals – just water. Refill the 4-inch tank every 8 to 12 weeks for accurate timekeeping, perfect for your lazy Valentine. With this list of must-have eco-friendly gadgets and a thousand more online shopping opportunities, your Valentine is guaranteed the best (and most environmentally conscious) gift this year. Keep in mind that making a few small “green” changes to your lifestyle can positively affect the world for years to come. 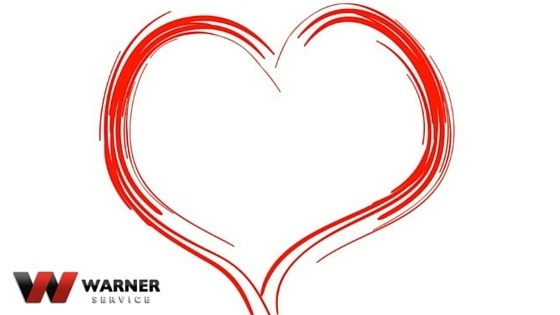 If you need to schedule an appointment before your Valentine shows up, contact Warner Service today.